Over the last decades, we’ve witnessed a trend of an increasing number of large retailers going out of business or becoming less relevant by the day. GameStop, a popular game retailer, is trying to counter that trend by tapping into a growing and profitable market of iOS devices. With thousands of stores in the United States, Canada and Europe, GameStop currently makes most of its money selling new and used games. Yet, as titles can now be purchased online, without the need to walk into a store, the retailer is likely doing the right thing by diversifying its offering and beginning to sell iOS devices. 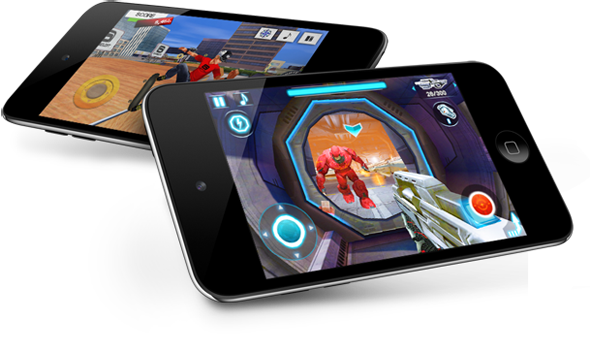 While commonly seen as productivity devices, the iPhone, iPod touch and iPad are in fact popular casual gaming devices. iOS titles take full advantage of the hardware built into all iOS devices, namely the accelerometer, gyroscope and the amazing multi-touch display, yet most of them have a casual appeal, capturing the hearts and minds of those who might not regularly play titles on standard game consoles. Indeed, my parents or my younger siblings would likely have a much greater time beating Angry Birds levels on their iPads than playing Gears of War 3 on their Xbox. Currently, GameStop is allowing current iOS device owners to trade in their iOS devices for store credit, which can go towards the purchase of new games or other products GameStop might happen to offer. No iOS devices are currently sold at the retailer, yet it’s possible that the long-rumored iPhone 5 might arrive in GameStop stores soon after it’s unveiled: wouldn’t it be great if we could just trade our old iOS devices and get a discounted iPhone 5, iPad 2 or iPod touch? Yup, it would be! If ongoing rumors are to be believed, Apple is gearing up for the release of the iPhone 5, its next-generation smartphone. According to most reports, the new device will feature a thinner design, a better and upgraded 8-megapixel camera, a dual-A5 processor – similar to the one found on the iPad 2. The new device is expected to be unveiled sometime this month an event by Apple and reach shelves around the world, perhaps GameStop shelves, in October. If you’re planning on getting one, perhaps you should consider heading to your nearest GameStop in the not-so-distant future.